Handwriting is a skill we need to practice in our house this year. My kindergartner gets bored practicing writing on paper so we like to mix it up. One of his favorite ways to practice is writing in dirt! 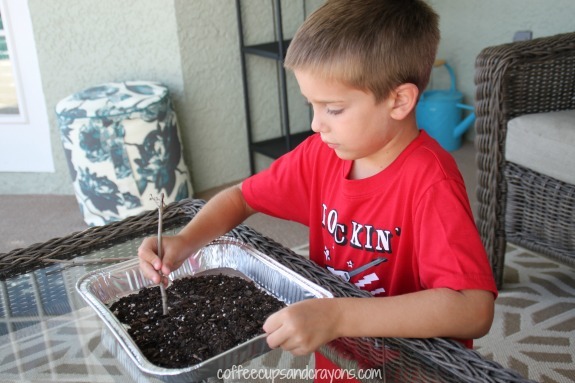 He used a stick to write with–so if you have dirt and sticks in your backyard you are all set! We don’t have any dirt patches so I added some dirt to an aluminum foil pan that could be used inside or outside. After awhile we added a little bit of water to the dirt to make mud. It added some resistance that helped him to slow down when he was writing. It was also fun to play in! I’m excited to announce that I have joined the After School Linky! Now every Monday, you not only get to see my post, you also get to see after school activities from lots of great bloggers. I loved this Stick Toys post from Pragmatic Mom that was linked up last week! Gross Motor Sight Word Game: Cup Crash! 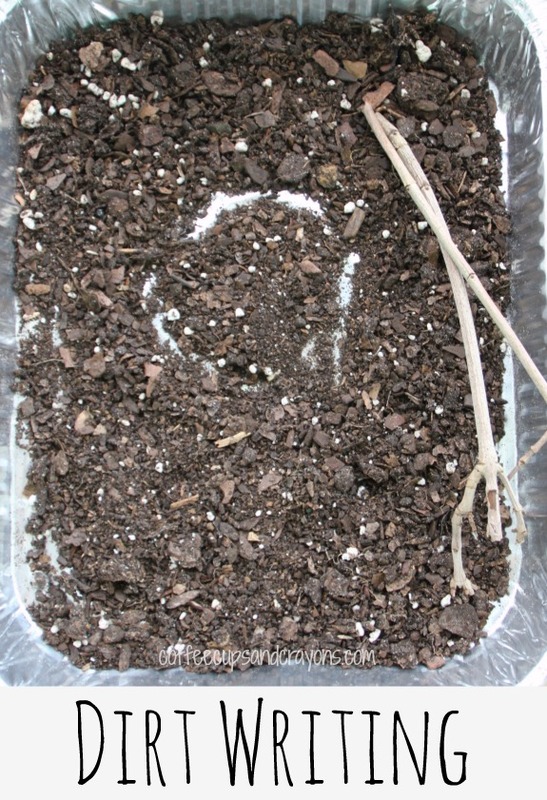 My dirt and stick guy would love this activity!